Pattern matching has always been a powerful way to analyze a chart, in fact some of the world’s best traders use nothing else. No other charting program available has Wave59's ability to scale charts properly, apply geometric shapes, and match time and price patterns. 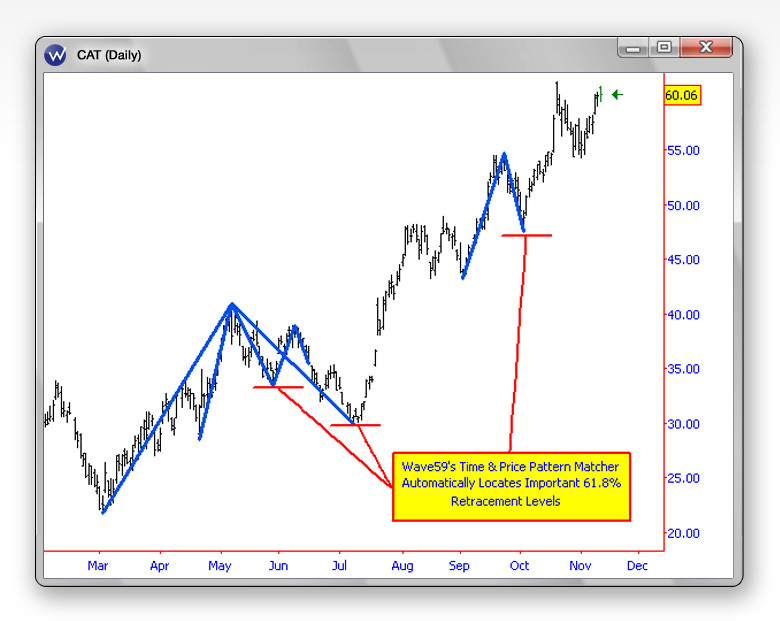 Wave59 will automatically find any price pattern on a chart and will also easily find subtle time and space patterns. Best of all, designing custom patterns is a snap. By letting Wave59 automate the process, you'll be able to look for the good stuff. 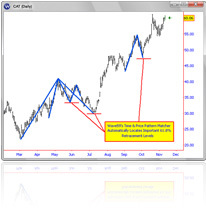 Fibonacci retracements, Elliot waves, and any of Gartley's patterns can be built and instantly evaluated by the software. No pattern is too complex or difficult. If you can think it, Wave59 can find it!